Sandy, it is as much my husband’s advice as mine. We do the ‘Ask the Rabbi’ questions together. It’s always fascinating to see what he add to each other’s ideas. So the domestic diva is doing far more than her husband — then DON’T. Stop carrying so much about so many things. The prime things are to feed the children, get them a bath and get into bed and have clothes ready for for them in the morning. Learn to swallow your pride when a neighbor comes over and your house is not immaculate. If there is no laundry clean, grab the hubby and any child over six and EVERYONE does laundry. Everyone who can walk can put paper dishes into the garbage. Anyone over six can take trash out. Anyone who does not do their own homework goes to school without it but their poor grades are their responsibility and they reap the punishment. Mine were 2 years old when they picked up towels, made their own beds, and put clothes in the hamper. It is really easy when the children go all together from room to room cleaning each room (10 minute timer for each room). Are child done chores done well? NO, of course not, but they are done with pride and should be done with praise. Does your husband and do your children want a woman in the house who is exhausted and crabby all the time? No so Mommy, learn to be less fussy and just forget about it! Barbara, I have to confess that our children did not always get a bath every night. Like yours, they did start doing their own laundry at quite a young age. We didn’t mention children and chores because D.D. did not say how old her children were. And as the ball sails over the scoreboard the crowd goes wild. That was freaking fantastic. All of it. Navgating the gulf between unagreed to expectations and an impossible false reality suggested by culture is crucial in creating a marrige that will not get crushed by the disappointment of an unrealistic/unrealized performance standard you unilaterally impose on your spouse. Add in gratefulness for what they do well and you might have the start of a successful union. We humbly appreciate your words, Grant. I am really starting to resent the fact that you and Susan are always on target. How do you two expect me to be my condescending critical self? Ignore the tongue in my cheek. Frank, we can’t even see the bulge. If I had 3 children and a dog, I would not work outside the home. Best to try and make due with one salary. If that is not feasible, you definitely need a housekeeper at least twice a week and a tutor for your children that takes the responsibility for making sure the children’s homework is done – this can be a retired school teacher who could come in the evenings. Something my husband taught me was “throw money at the problem”. We never had a disagreement about housekeeping (had a housekeeper) or really anything of real importance because we’d pay people to do things we either didn’t have time for or didn’t want to do. If you have 3 children, this is a good time to teach them how to do dishes, sweep, take garbage out, do yard work, etc. If the children aren’t old enough, then the wife needs to stay home until the children can help. Annette, D.D. didn’t say that she was working because they are struggling to put food on the table, but our impression was that that was not the case. It astounds me how few young couples today even contemplate the mother staying home even when most of her salary is going to pay for things they would not need if she was home more. Any problem that can be solved with money, is not a problem. It’s an expense. Of course best to make do with husband’s salary if possible. That’s the rub. For many it isn’t possible, is it? Taxes have gone up so much over the years that it is almost impossible for both spouses not to work–just as government prefers. Two taxpayers rather than only one. Sometimes, the wife wants to work out of the home not because the family needs the money but because she has been conditioned to believe that only such a job affirms her self-worth. A huge societal problem today. Your husband was quite right provided he earned enough for that expense. Your advice is wonderful because I don’t believe that the “real” problem here is what mom thinks it is. It seems to me that what’s bothering her are merely symptoms of a bigger problem. In order for couples to find harmony and become the united front needed to raise children these days often requires great communication, mutual respect and common goals. If she follows your advice I predict she’ll have the home life that they are all looking for. Lisa, it struck us that she seemed to get more upset as the letter went on. Once resentment creeps in, it is very difficult -and essential- to get it out. When my wife and I decided to have a child we made the decision that one of us would quit the day job and be a full-time, always there, parent. For various reasons, my wife quite her job as a legal administrator for a large law firm in order to be the “stay-at-home-mom”. When our first child was born we were down to one car, no debt (except for the mortgage) and living comfortably on my earnings. We could even go out to eat occasionally. As our friends, with their children in day-care and both “parents” working, complained about their kids, finances, office politics, piano lessons, etc., we were very happy that we made the choices we made. I didn’t “get out of” home chores and evening and week-end parenting but enjoyed it so much we (and our 6 yr old son) went to China and adopted our daughter/sister. We have been married for 43 years now and our children are grown. Having home-schooled them we are all very close. Our son graduated from U. of W. at age 20, with honors. Our daughter, at absolutely no urging or oversight from us, is upholding what she feels to be Asian honor by carrying a 4.0 GPA after 3 years in college (we sometimes tease her about not being able to carry over the extra points she always gets in her classes that bring her scores to > 100). If we had had your insights to help us along, as well as many of the other resources that are now available, I don’t know how we could have done better (except for the learning-by-experience part, ouch!). This is not really complicated but, it can be hard. Just do it and things tend to smooth out over time. Being so fortunate it is sometimes puzzling to see others with the problems faced by DD and her family. You two are a gift and I sincerely hope DD can accept that. Jim, how lovely that you are getting such joy from your family. Raising children properly is not something that happens in one’s spare time and you and your wife understood that. Carolyn, we are big fans of pre-marital counseling and workshops. There are always going to be tons of unknowns that adding unnecessary ones is risky. The one detail that I found absent in Domestic Drudge’s note is what she believes constitutes “a pretty great guy.” Why did she marry this man in the first place? Funny how people forget the characteristics that drew them to their partner – especially when some of those characteristics play out exactly as described in her note. All too often, women are drawn to the free spirited guy who always has time for fun, but after they get married, she complains because his priorities are fun first, work and responsibilities second. I wonder if she is more angry at herself for ignoring a few of those red flags during the dating period, and is now taking out her anger on her husband. Barring major physical trauma, drug use or psychiatric issues, people really don’t change – they just become more entrenched. The kids will be grown and gone on their own so fast it will make your head spin. So knowing these circumstances are not here forever helps to deal with them. I recommend being like a sponge and soaking it all up to memory , because the day your house is empty , you may miss all of this. Being an “empty nester” I know I miss the all the soccer games and kids running everywhere all the time. Bravo! God bless you for your ministry RDL & SL! 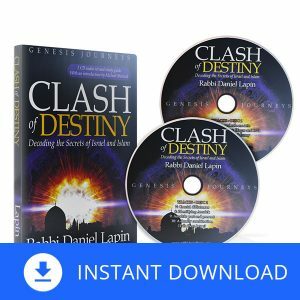 Your teachings have saved my marriage and increased my income 30% in a span of two years. Sincerest thanks to you both! I really don’t want to put up any kind of argument against good Godly advice. I would like to add a different perspective. All of this advice is under the assumption that her husband will cooperate. If a spouse has exhausted all options but the husband refuses to cooperate in marriage (seemingly due to laziness) then what? From reading this letter, I felt her angst. I was there once myself which ended in divorce (his repeated affairs were the straw that broke the camels back) and I’m watching my sister with this struggle at the moment with her husband. My thoughts are that you can’t force another human to do something and sometimes no matter what you do to encourage them to participate, they just WON’T. Not throwing good sound advice out the window if the spouse is willing to work on compromise, but that’s not always the case. I feel deeply sorrowful when i hear women struggle with this issue and to this lady, my heart goes out to you! Mom, I’m sure D.D. appreciates your empathy. Our response mostly came from her saying her husband was a great guy yet she was even considering walking out of the marriage. There is no hint of his having affairs or in any other way betraying her. That, obviously, would be a very different case.I’m sorry that it is the case that you faced. I am going to print and save this one for my two adult children, who grew up in a home with a lot of screaming and discord because we did not have this wonderful , succinct advice to counsel us (despite visiting 3 different marriage counselors over 10 yrs). Did those sessions help us stay married? Absolutely. And I would recommend them to any couple who are heading down separate paths BEFORE one is ready to throw in the towel and “just leave”, as DD mentions. Our youngest child is a decade younger and has grown up in a significantly more peaceful home. I’m not sure if that is because we are older , or because I’ve been reading your advice for the past decade…but it is probably a combination! Mrs. A., it sounds like you and your husband have worked hard on improving both your marriage and parenting skills. Not only is that a gift to your youngest, but even to the older children. Having you admit your mistakes and encouraging them to work on not repeating those mistakes is a huge gift. You both are awesome! Your B.S. detectors are incredibly strong! Haha. I really appreciate the advice about expressing gratitude and not letting resentment creep in. I was at a retreat once that encouraged participants to make a daily list of things they are grateful for, for a year. It is so easy to find fault in others and complain about what’s wrong in the world. Gratitude as a discipline initially becomes an authentic way of viewing life and it really make you happy. Kevin, I wouldn’t be too hard on D.D. As you say, once you get into a resentful rather than a gratitude mode, it just drags you spiraling down. We do hope the couple can reset the odometer back and build their relationship again. What sage advice. I found myself cheering you two on with each passing tip and question. Something struck me in one of Rabbi’s response that you Susan, sometimes want to work outside the home and for societal reasons. I wish you two would address this topic in a podcast. This is a big issue today and having been raised by a ‘Super Mom’ of the ’80s I know that I have really struggled with being a stay at home mom and a homeschooling mom. I have wanted to seek your advice on this topic and with this great ‘Ask the Rabbi’ response, I thought that this was the most auspicious time to inquire. Thanks for all that you share to make the world a better place. Kirsten, I have talked about this topic somewhat in Susan’s Musings columns. I think we put men, women and families in very difficult positions today. I had to make a huge paradigm shift to leave the work world when I got married. Maybe it is time to write more about that. 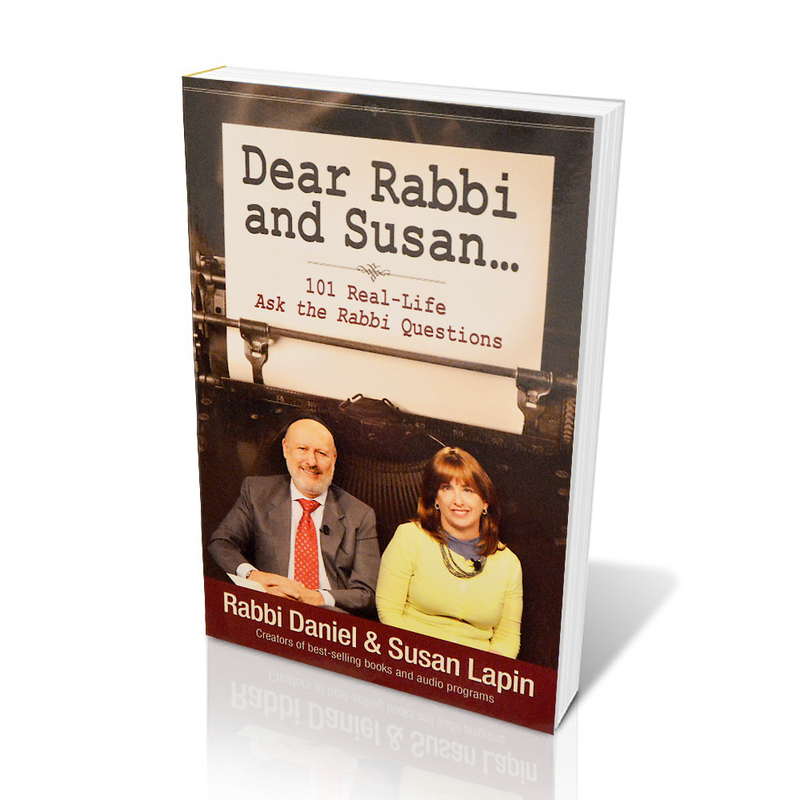 Dear Rabbi and Susan Lapin, your response for the issue was unexpected and quite precise. Starting from a generic situation you cover so much offering many points worthy noticing . The text overcome the initial questions and holds an inestimate wisdom. Once again, thank you! Alessandro, we’re curious at what you expected us to say. We are always working from such a dearth of information that we try as best we can to cover many bases. We appreciate your writing in! From careful reading of DD’s letter, so much more was hinted at than merely the facts. Part of ancient Jewish wisdom is seeing beyond the superficial in all circumstances. It’s a part of our teachings that people seem to find most useful. You take care. As I read the comments of Rabbi and Susan, I feel like I’m suffocating. I am a woman who works outside the home. My day begins at 4:30 and ends at 11pm. My husband does not have a job and looks after my toddler. My spouse has lofty ideas for income, but not one has come to bear fruit. When I get home from work, I still have to prepare dinner and attend to homework of my older children. i have less time to communicate with the Lord and I feel like I am missing the mark with being a mentor and example to my children. I desperately want to stay at home and create a serene place for my family, but if I do not work there is no income. If i stay at home, my home will sparkle and i will have more time and energy for more meaningful things. I thank Rabbi and Susan for the advice, but I do not know how to get to there from here. It is with trepidation that I respond to your implied question because imparting marital guidance without full knowledge of the entire dynamic is perilous. Nonetheless, I suggest you seriously consider disengaging from the role of primary provider. I don’t know how long your husband has dreamed instead of delivering but I am guessing it wasn’t this way when you married him or why would you have done so? At some point he slid into this mode. Perhaps it was almost in response to your competence. Well, think about backing off. Tell him the children need you and that you are handing back the responsibility of paying the bills to him. Expect a rough period followed by the emergence of a man you barely remember.